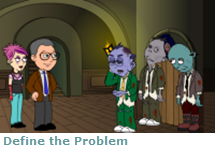 This online DMAIC project simulation provides the opportunity for participants to apply conventional Lean Six Sigma methodology to an unconventional problem - zombies - in a constructive team environment. The focus on fictitious zombies forces participants to practice their investigative and analytical skills, rather than relying on their prior knowledge. This one-day SigmaSim ® is targeted for the Yellow Belt and transactional Green Belt levels. For groups interested in hands-on classroom exercises, it can be extended to a two-day session that integrates with instructor-led review and discussion. We designed this project exercise to build capability through practice of process improvement skills. The simulation requires participants to employ Lean Six Sigma tools and methods to resolve process problems in a simulated project environment. The setting is Dragos, a fictitious village beset by the undead - Zombies that roam the otherwise serene streets seemingly at random. Through a series of investigative steps, i.e, an application of Lean Six Sigma critical thinking in an open-ended environment, participants practice structured problem solving to find the root cause of the problem. The simulation is designed for play by teams of 3 participants, although this criteria is flexible. The simulation introduces teams to the project problem, but it is up to the teams to initiate their investigation by making choices among a variety of possible activities to identify and define the problem plaguing the village, develop and test theories addressing root causes, and to implement and maintain long-term solutions. By shadowing the project lead, Sherlock Holmes, through the investigation, simulation teams listen to interviews, analyze data and correctly develop appropriate actions to solve the problem of roving Zombies in a time and cost efficient manner. By completing this simulation, participants gain practice in the question/answer/action dynamic of DMAIC process improvement. Aside from critical thinking skills appropriate to the DMAIC approach, the simulation anticipates use of mapping, data collection and evaluation, control charts, sigma level calculations, FMEA and other, basic problem solving tools. Appropriate simulation participants will have completed introductory DMAIC (Yellow Belt or transactional Green Belt) training. No advanced data analysis tools are required. Do your students need practice in operating as an effective process improvement project team? Do they struggle with understanding how to progress through the DMAIC framework in the absence of clear direction? Then this simulation can better prepare them for "real world" project work. We designed the Sherlock Holmes Zombie Hunter series of simulations to meet the objective of providing a simulation that can be completed in one-day and that is appropriate for participants who have completed Yellow Belt or transactional Green Belt training. Because we emphasize capability development, and introductory Belt training may not have included project work, this simulation experience provides a time-compressed series of exercises that allows the participant to explore and discover the investigative methodology of Lean Six Sigma. While the topic of the simulation is light and engaging, the game play requires skill and judgement. With many potential teaching points embedded in the simulation, this SigmaSim ® exercise can provide a meaningful capstone to your capability development program. Instructors supporting this simulation should plan on running the simulation over the course of a single day - approximately 8 hours from beginning to end. It can be extended to a two-day session that incorporates instructor-led review and discussion of key concepts and tools. The instructor version includes supplemental instructor notes, solution files and schedules with suggested pacing for the simulation activities. Access to the simulation and accompanying materials is open for 180 days. 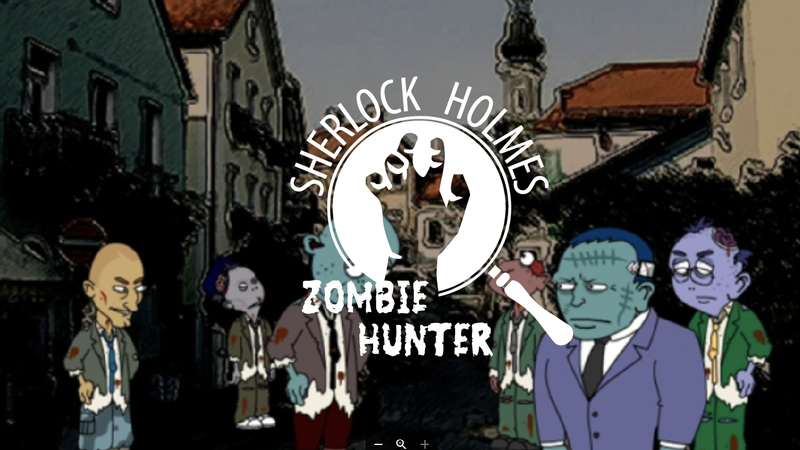 Sherlock Holmes Zombie Hunter is designed to be played by teams of 3 players. For each team we charge $300. If an individual or pair of participants needs access instead of a team of three, the fee remains at $300. We also offer annual licensing. Contact MoreSteam directly for more information on these licenses . Yes. Ordinarily, we recommend that this simulation be run by a team of 2 or 3 individuals. But individual students can successfully run through this simulation on their own. We will need to provide you with some basic information that an instructor would ordinarily provide, but if you are interested in trying this simulation on your own, send us an email and we will arrange your access. No, not really. As in real life, there is not often a single correct answer. We have programmed Sherlock Holmes Zombie Hunter to provide a variety of solutions yielding a variety of results. As teams compete, they can see how their choices compare with the alternate choices of other teams. This is a risk-free way to analyze the impact of different decision pathways! In response to customer demand for a 1-day simulation, we designed Sherlock Holmes Zombie Hunter to meet that requirement. The instructor materials provide schedules of activities assuring completion of the simulation in one day including breaks. Up to 3 participants per team. Contact us for discounted group pricing. Training simulations, such as Sherlock Holmes Zombie Hunter, are frequently combined with online courses to create a high-impact, blended program. See how this works.